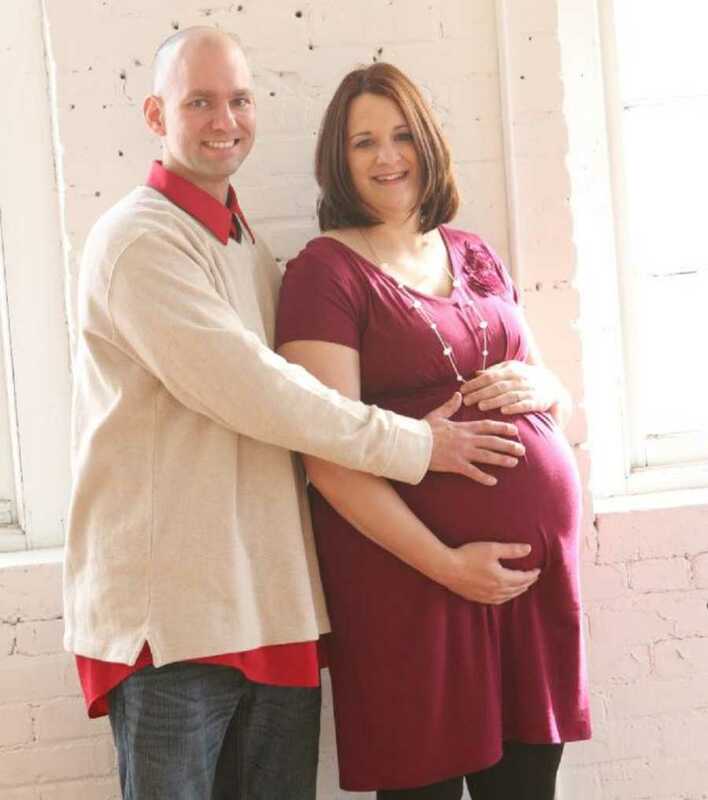 “I am a 2-time postpartum HELLPs and preeclampsia survivor. I first developed these conditions with my third child. HELLP is an acronym for H- Hemolosis, EL- elevated liver enzymes, LP- low platelets (the clotting factor in your blood). Preeclampsia is a hypertensive condition developed either during or up to 6 weeks postpartum, which consists of elevated blood pressure, headache, severe swelling and vision changes. 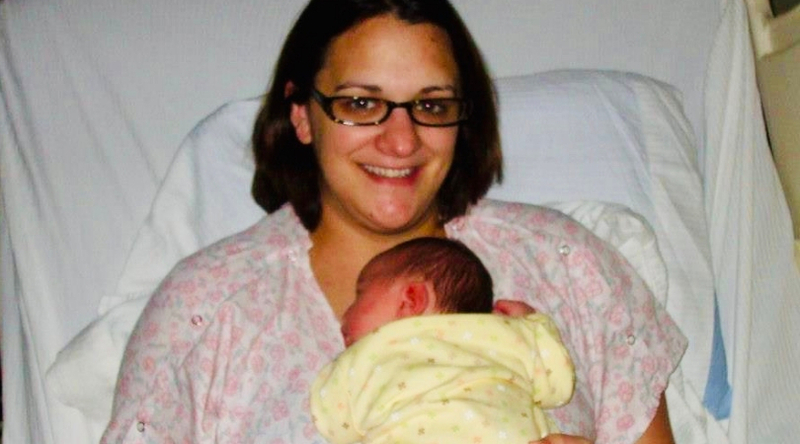 I was 1 in 50,000 who was lucky enough to develop BOTH postpartum… twice. 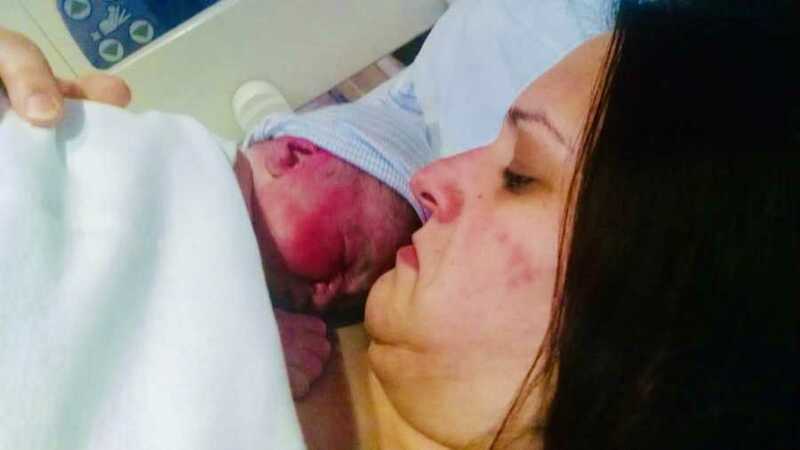 My experience begins upon being admitted to the hospital with my third son. My initial blood pressure was high. We chalked it up to me being in labor, DUH! Whose blood pressure wouldn’t be high, am I right? Fast forward 6 agonizing hours, my third son Samuel was born. He was perfection and I was in love with every 7 pound 2 ounces of him. 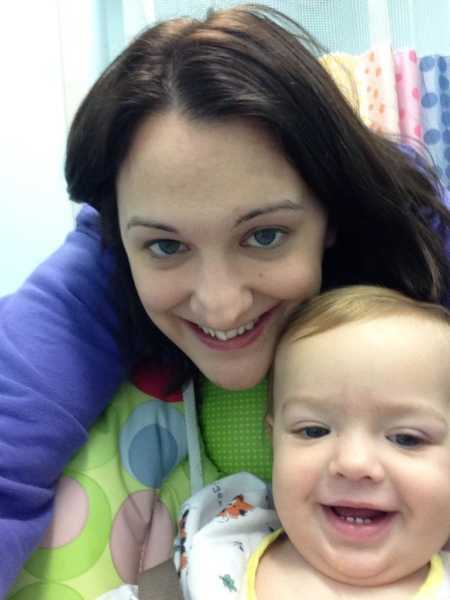 I was sent to my postpartum room to begin my motherhood of 3 boys! As I was dozing off, the nurse came in like they always do. She took my blood pressure, palpated my uterus and lastly, asked how I was feeling. I distinctly remember saying that I was ok, besides this nagging headache. Naturally, I wrote it off stating I was probably dehydrated. My nurse made note and promptly brought in a glass of ice water insisting that I drink. I complied to the request and was left to rest. At this point it was about 8 a.m. I knew that grandparents and siblings would soon fill the room. I was restless with anticipation to introduce this sweetheart to my older boys. While family was visiting, a different nurse came in to check on my headache and blood pressure and offered some pain relief. Needless to say, it did not help. We stayed that day and the following night, then I was discharged, headache still pounding and blood pressure still elevated. We decided to go to the closest hospital with an OB unit. This was not the hospital where I delivered but at this point, I was rapidly feeling worse. After being triaged, I came to the realization that my weight was 5 pounds MORE than when I delivered. I.WAS.SWOLLEN. My mom and mother-in-law were at the hospital by this time and my mother-in-law told my husband, ‘You get back there and get some answers or you are going to have a dead wife.’ She was right. After numerous tests, the PA in the ER came in and explained what was going on. I remember exactly what he said. ‘I spoke with your OB and the OB team we have here. You have something called HELLP syndrome, we are going to need to admit you.’ I was relieved. Finally, I knew what is going on. But what in the hell is HELLP? I was sent to the Critical Care Unit where I met the first OB who cared for me. There was a lot said but all I could focus on was the pounding in my head. I sent my husband and newborn boy home, feeling defeated as I explained how he would have to give him bottle. I was too sick to nurse him at that point. That night was spent in and out of sleep and in an extreme amount of pain. Every single part of my body hurt. The next morning was spent with a lot of visits from a lot of different people, nurses, lactation consultants, doctors. 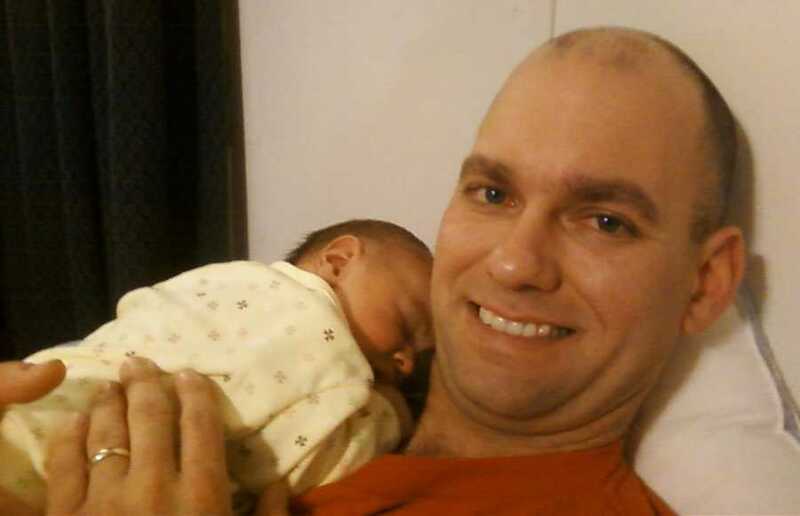 My husband came with the baby and I nursed him when I could. At one point I was asked to get up to urinate. I didn’t have to, I didn’t feel good and the last thing I wanted to do was get out of bed to use that cold bedside commode. My nurse was relentless, and I eventually consented. Except. I did not have to urinate, and I didn’t. Fast forward a few hours. I had again sent my husband home with the baby to get some rest. But this night was different. I was dozing off to sleep when I heard this noise… A crackling noise coming from my lungs. The moment I realized my lungs sounded like Rice Krispies, my monitor started blaring. My nurse walked in and applied oxygen to my nose. I immediately called my husband back to the hospital and I can distinctly remember saying to my nurse, ‘I feel like I am dying!’ I had to encourage myself to breathe while waiting for my husband to arrive. I was drowning in my own fluid. Literally. At that point we asked to be transferred to a larger hospital that we felt would be better equipped to care for my deteriorating condition. The doctor agreed, and I was sent by ambulance. The next few days were filled with tests, scans and a lot of pain. My headache faded, blood pressure lowered and swelling resolved (mostly). I was sent to a step-down unit and left to recover for the next few days before being discharged. At 5 days postpartum with my fourth pregnancy, I developed preeclampsia trending towards HELLP, as my liver enzymes were elevated. Although I still got sick, I felt empowered with the knowledge I had from my first experience. I spent 5 days in the high-risk OB ward but can honestly say it was a healing experience. I was sick, but things did not spiral out of control. I was respected and listened to by my fabulous OB. Knowledge is power. This story was submitted to Love What Matters by Marianne Bohn, 36, of Newaygo, Michigan. Have you experienced something similar? We’d like to hear your journey. Submit your own story here, and subscribe to our best stories in our free newsletter here. Provide hope for other struggling mothers. SHARE this story on Facebook to help spread awareness.